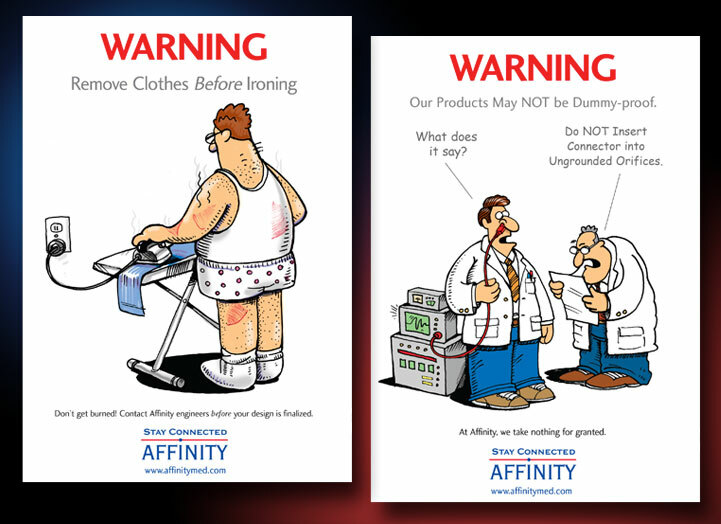 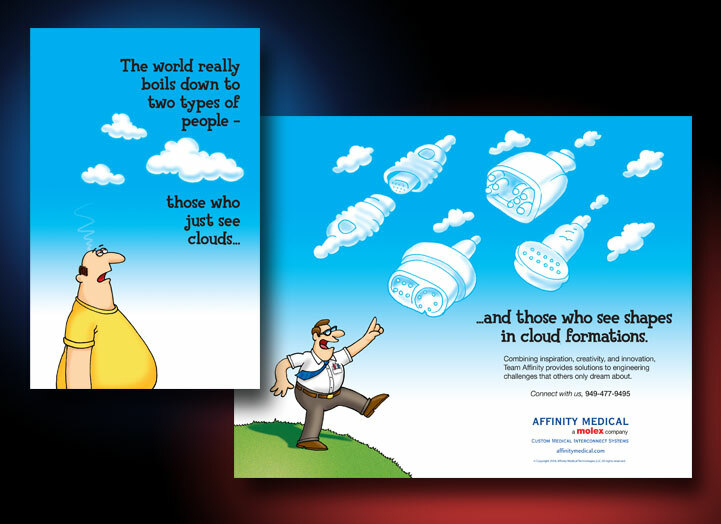 Affinity Medical Technologies designs and manufactures connectors for medical devices. 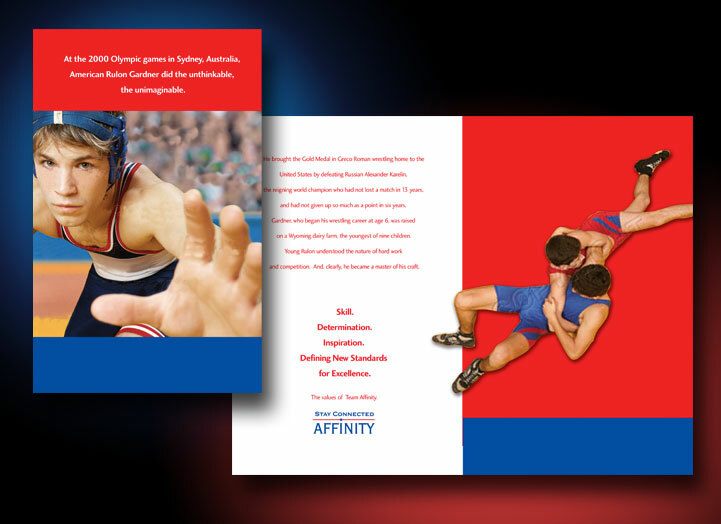 Working in conjunction with Integrated Marketing, we have created art for print and online marketing campaigns including web sites, brochures and direct mail. 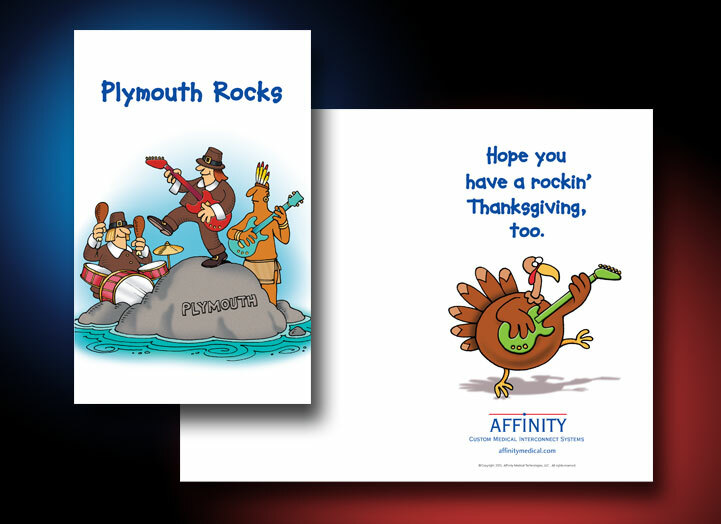 The examples shown below are just a few samples from a series of mailers that were an out growth of an annual holiday greeting card. 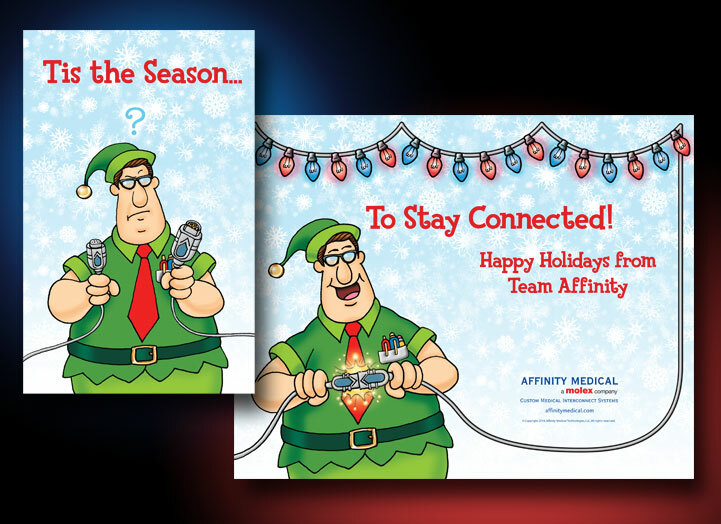 Integrated Marketing proposed a campaign of direct mailers (greeting cards) that could be sent to current and prospective clients throughout the year. 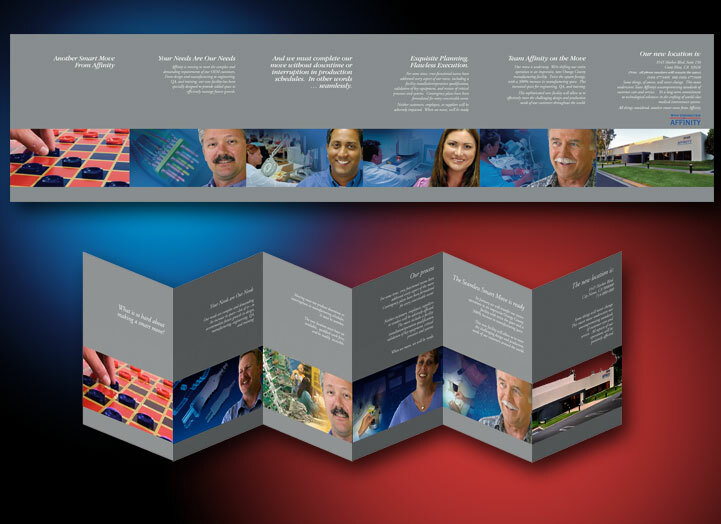 We created concepts and art for the series which evolved from photographic concepts into a series that often depicted engineers (the target market) as stereotypical bespectacled nurds with pocket protectors. 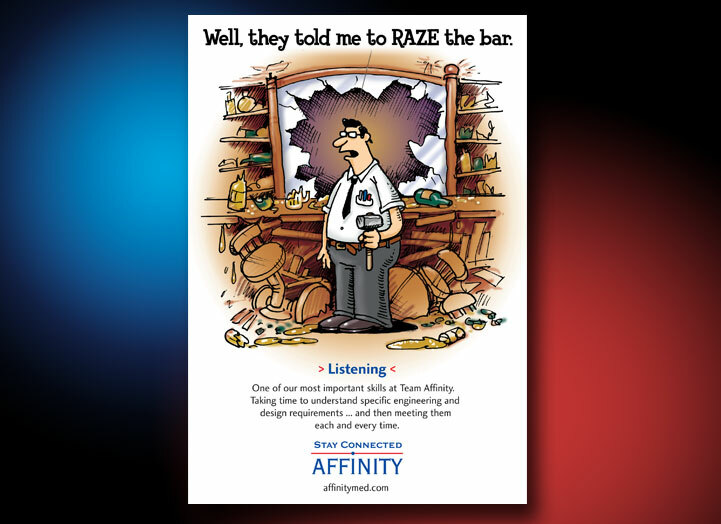 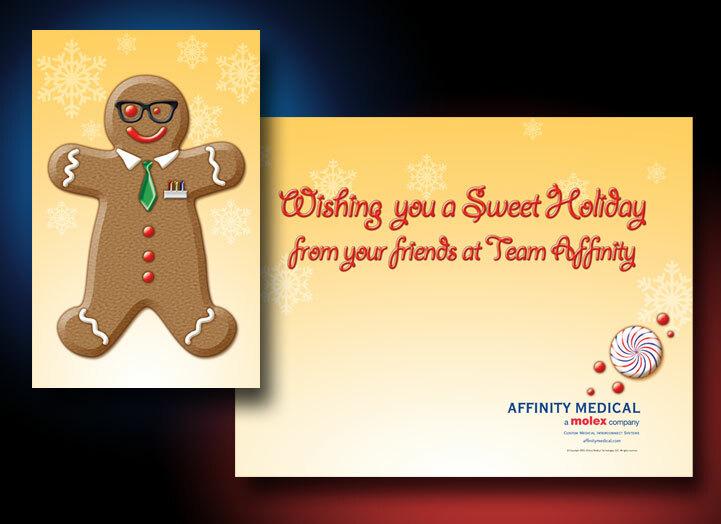 The resulting campaigns have been widely embraced and created a year round connection with the engineers at "Team Affinity" and their clients.